Fair. Trade paperback (US). Glued binding. 432 p. Audience: General/trade. Chris/Danielle; smudges/stains on side of book. Fair. 006083756X Item in acceptable condition including possible liquid damage. As well, answers may be filled in. Lastly, may be missing components, e.g. missing DVDs, CDs, Access Code, etc. Arrived quickly and quality was good. My son enjoyed the book very much. My sophomore year of high school we had to have our parents sign a waiver to allow us to read this book in class. Well, we didn't HAVE to. If we didn't want / couldn't get permission there was an alternate assignment planned, but I didn't want to do that. I was intrigued by the waiver and I didn't want to miss out on class discussion, which is the best part of English class. It wasn?t long before I wished I had taken the alternate assignment. I hated this book so much. It wasn?t fun to read at all, and it wasn?t even the kind of awful that is really good because it?s uplifting or moving or touching. I hated all of the characters and everything that happened to them and everything they did. I hated that the point seemed to be ?He?s a terrible person, but he can?t help it,? or maybe, ?He?s a terrible person, but so is everyone else in the world.? To be fair, I didn?t finish the whole thing because I couldn?t take it. Still, that doesn?t speak well of the book. I know some people love it and I?m so glad that they do, but it?s really not for me. 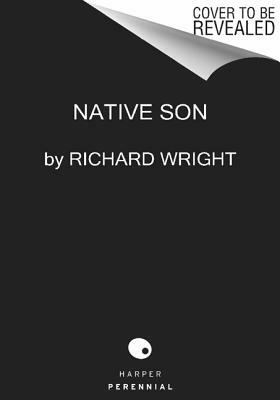 Though many would consider African-American to be filled with the stereotypical tales of woe and misery, Richard Wright hit the heartstrings in a disquieting way. Never have I read a more moving tale; it takes a while to reach the climax, but this classic has an unforgettable tale with an abnormal antihero that you can't help but love by the end of novel. Engrossing, enthralling, haunting; this book will stay with you.